The term ‘age spots’, or lentigines, refers to the brownish spots that, over time appear on your face and body as a result of over exposure to the sun. The experts at Castleknock Cosmetic Clinic Dublin explain that as we age our skin is subjected to more and more sun damage. Our skin has what is called ‘melanin pigment’ which absorbs sunlight and helps naturally protect our skin from UV rays. However as we age, our skin’s natural ability to fend off UV rays from the sun begins to deteriorate, and as a result, we see the development of age spots. 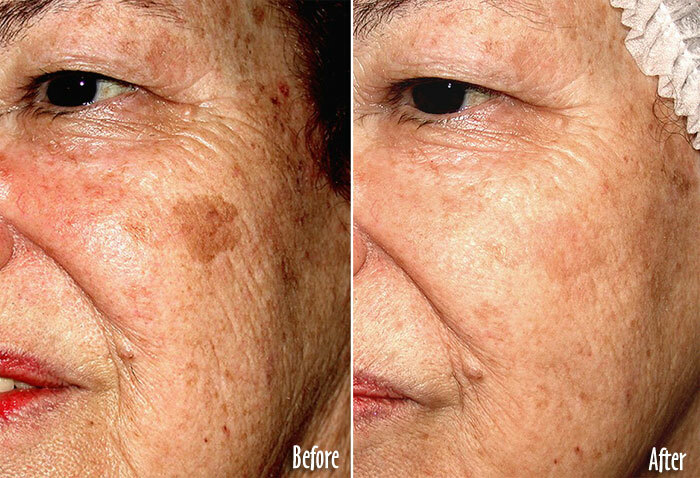 These age spots can be effectively treated with lasers. 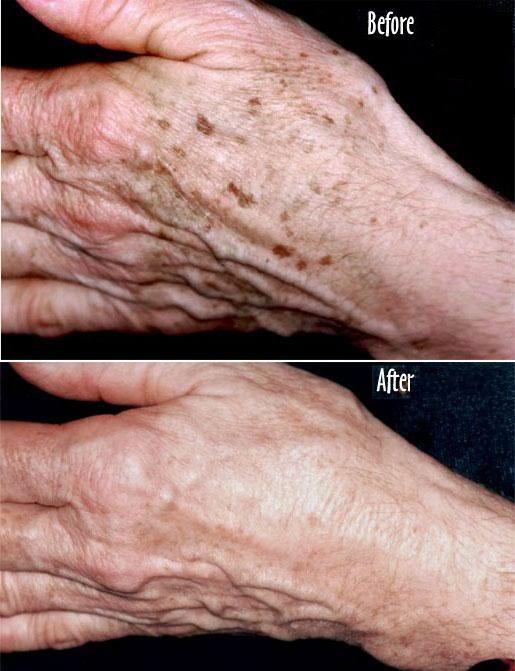 There are a couple different types of brown spots that people get on their skin. There are solar lentigos (age spots) and freckles (known as ephelides). These come from the sun and that’s because the sun damages the melanocytes, which are the cells in the epidermis (the skin’s surface layer) that produce melanin pigment. Most of the cells in our epidermis are skin cells that form the dead skin layer as well as keratin that protects us from the outside world, but one in every tenth or twentieth cell is a melanocyte which produces melanin pigment and transfers this brown pigment to our skin cells to help protect us against the sun. Photofacial treatment is quick and painless. Most patients describe the fotofacial light pulses as a ‘snapping’ sensation, which causes mild discomfort at most. 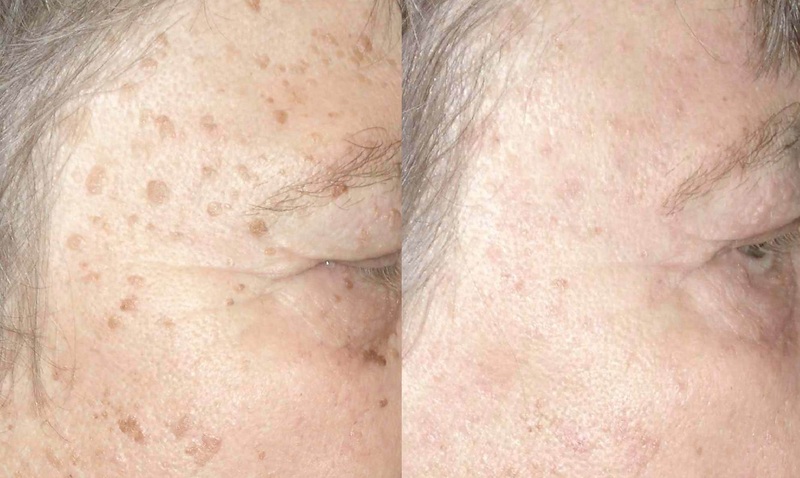 After the treatment, there may be some redness for a few days, but that quickly fades and the patient can enjoy the effects of blemish-free skin. When interchanged with alternate light bandwidth, the effect is gentle stimulation of one’s own collagen and elastin production. Photofacial treatment is a broad band laser therapy using the StarLux is administered to patients attending at Castleknock Cosmetic Clinic Dublin as to enhance other treatment outcomes. According to published evidence the innovative combination of fotofacial with other aesthetic treatments like chemical peels and fractional CO2 Lasers resulted in improved cosmetic outcome for example when combined with wrinkle taming resulted in longer duration of the wrinkle reduction. The result is more satisfying treatment outcome and less frequent treatment need.